Technical Editor and VW enthusiast Jacob Joseph offers up advise on preserving the integrity of the brand. You would have thought Volkswagen had learned something about the US market from the Phaeton debacle. 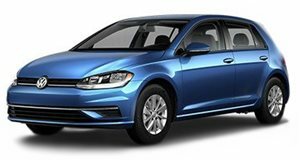 Volkswagen has been maddeningly stingy with the models they choose to bring over to the US, and as a such, US buyers tend to have a much narrower view of what a VW is than Europeans do. As a result, the American car-buying public was much less willing to accept a VW luxury car, and the sales were disastrous. Volkswagen&apos;s transition from a cheap people&apos;s car to a brand for people who enjoy the act of driving was a slow one, but it worked because there was always one constant: VW was different. Right from their introduction to the US market, the cars sold by VW have been different from those coming from American manufacturers. The original Beetle, the Microbus, the Thing, all of these had a certain quirkiness which appealed to those who enjoyed having something different from what other people were driving. With the introduction of the GTI, at a time when American performance cars were at their absolute worst, a large number of enthusiasts joined these ranks. Volkswagen is a much bigger company now than it was a few decades ago, but they have managed to hang on to a certain amount of that quirkiness. The problem with the Phaeton was that there was no "Fahrvergnugen" to it, it was just a regular German luxury sedan. It was a fantastic car, but it just seemed too Audi, too mainstream. VW is now poised to repeat that mistake with the new US-market Jetta and Passat. They&apos;ve taken a page out of GM&apos;s playbook of horrible business decisions and intentionally made both of these cars much lower quality in an effort to bring the price down enough to compete with the Japanese. Volkswagen wants the kinds of sales numbers that come with being a more mainstream automaker, and in order to achieve this, they&apos;re sacrificing the one thing that made so many people so loyal to the brand in the first place. 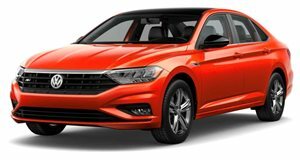 The new Jetta has a low, low base price, but with that comes the worst-in-class interior and an engine which puts out 115 horsepower, a figure which is laughable by today&apos;s standards. It looks decent enough, but you would think that the company which sold the Thing would know that looks aren&apos;t always everything. 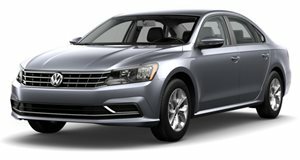 There is a pretty good chance that poor sales will result from this move, and when this leads VW to rethink their strategy, I have some suggestions. First, if you want to be a mainstream US brand, stop treating the US different. The whole reason why these kinds of strategies fail is that Americans don&apos;t have as broad a view of your company as Europeans do. Commit, bring the Scirocco over, bring the Polo, bring back the Phaeton, bring SEAT and Skoda, show Americans that VW can do all kinds of things. Second, on a similar note, bring more diesels. 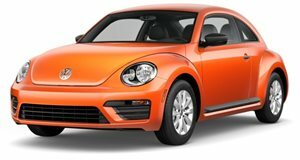 I know this is something VW has talked about, but step it up. Anybody who has worked at a VW dealership (such as myself) can tell you that TDI&apos;s never sit on the lot for long. Maybe there aren&apos;t as many Americans who want diesels as there are Europeans who want one, but those who do want it to be built by VW. 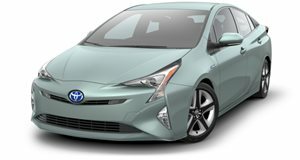 Stop making people sit on waiting lists for so long that they get frustrated and buy a Prius. Do you really want to take sales from Toyota and Honda? Take aim at their hybrids first, and really push the BlueMotion Golf and Polo, these are cars which already exist, you just have to bring them over. Lastly, leave VW alone. Don&apos;t turn VW into cheap crap. If you need a cheaper line of cars, slap Skoda badges on them the way you do in Europe. There are better ways to go mainstream than using a method which has been proven to fail.